TapSnap has done away with the traditional photo booth and reinvented it for the digital era. No walls. No ceilings. No curtains. No limits on your creativity. 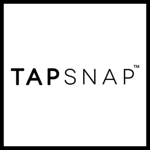 Contact Emily & Mark at 240-444-7017 or email us at TapSnapDC@tapsnap.net to make your next event instantly social and utterly fun!